Welcome to the desirable Vista Ridge neighborhood! 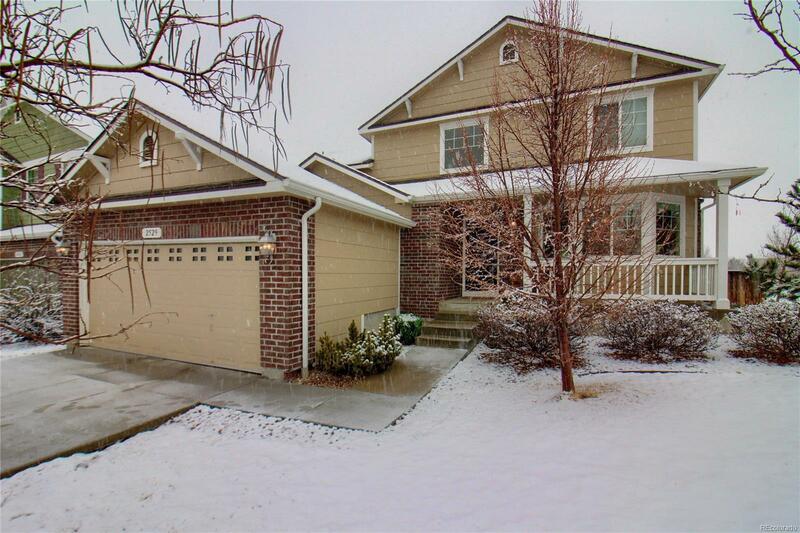 This stunning two story home has been updated with a new roof, carpet and paint throughout! As you enter, you will be greeted by gleaming hardwood floors which leads you to the living room with its soaring vaulted ceiling. The gorgeous open staircase adds to the feeling of openness...all bright and cheery! The kitchen features hardwood floors, breakfast nook and pantry. Retreat a few steps upstairs to the master bedroom, on its own level, with a vaulted ceiling, walk in closet and 5-piece bath. A few more steps up are two more bedrooms and full bath. On the garden level, curl up around the fireplace on those chilly Colorado evenings. The basement is unfinished, awaiting your creativity! Step outside onto the large patio and enjoy the pergola and fenced backyard with family and friends. The whole house looks and feels brand new. You'll love it all!